Is Tom Joyner Being Ousted? Rumors have been flying all day following a report from the UK’s Daily Mail that Tom Joyner will soon be ousted from his long running syndicated morning show. According to the report, Reach Media will pull the plug on Joyner’s show at the end of 2016. Reach was founded by Joyner in 2004, but has since sold 80% of its shares to Radio-One. Reach Media CEO David Kantor was promoted to CEO of all of Radio-One’s radio operations in October. The Daily Mail claims that Joyner’s contract expires at the end of next year and the company plans on moving Russ Parr from Mainstream Urban stations to Urban AC to replace Joyner starting with “Magic 95.9” WWIN-FM Baltimore and “Majic 102.3” WMMJ Washington DC in January. Reach Media quickly released a statement denying the report and stating that Joyner is under contract until the end of 2017. 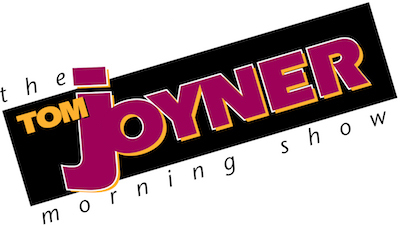 Any stories that suggest major changes to the Tom Joyner Morning Show are inaccurate. Tom Joyner is under contract with Reach Media until the end of 2017. We expect that Reach will continue to syndicate Tom’s show beyond that date and for as long as he would like to be on the air. There has always been refinements and updates to the show as well as market changes due to local conditions and there may be some in the future; but Tom Joyner and the Tom Joyner Morning show continues to be strong and is a daily Party with a Purpose®. Reach is committed to Tom Joyner for the long term who remains committed to radio, his audience and the future. The 65 year-old “Fly Jock”, whose nickname came from when he would do mornings at “K104” KKDA-FM Dallas and afternoons at 107.5 WGCI Chicago while flying between the two cities daily, has been nationally syndicated since 1994. INSTANT INSIGHT: Do I think that Radio-One wants Joyner gone completely? No. But I do bet they would like to start transitioning some markets where he may be under-performing to another host like Russ Parr and beginning preparing for life after Joyner while getting him to take a pay cut. This all seems to be about money and by having the story go public as it did, it gives Joyner some ability to have the court of public opinion on his side. And how did a UK news organization get tipped off about a program that doesn’t even air in the UK? I don’t think a lot of people across the pond really know who he is. The Daily Mail has a US edition with its own content separate from the UK edition, not to mention a separate web address. If he has listeners hearing his show online that might be where the rumors started. I don’t believe Radio One will get rid of the show and the only way that will happen if he either grows tired of it or announce a retirement on air.